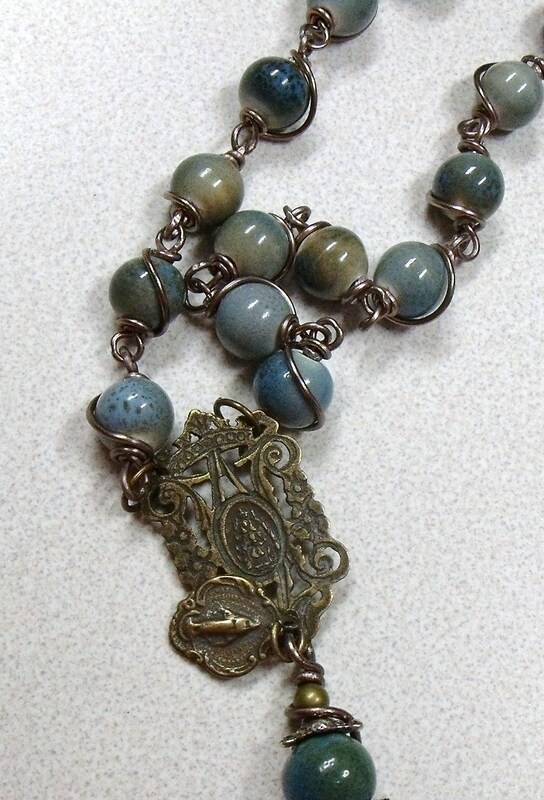 My Favorite New Rosaries: Vintage Look and Ho Ho Ho | Nan Tubre Writes . . . This is absolutely one of a kind! The reason I love this one is because of the beads I found to make it with. They are a glazed ceramic that looks so much like vintage pottery. Each one is wired up tight, and the Pater beads are wire wrapped. Look at that gorgeous center. It is so old looking! I popped a little matching Miraculous Mary charm on there with it. 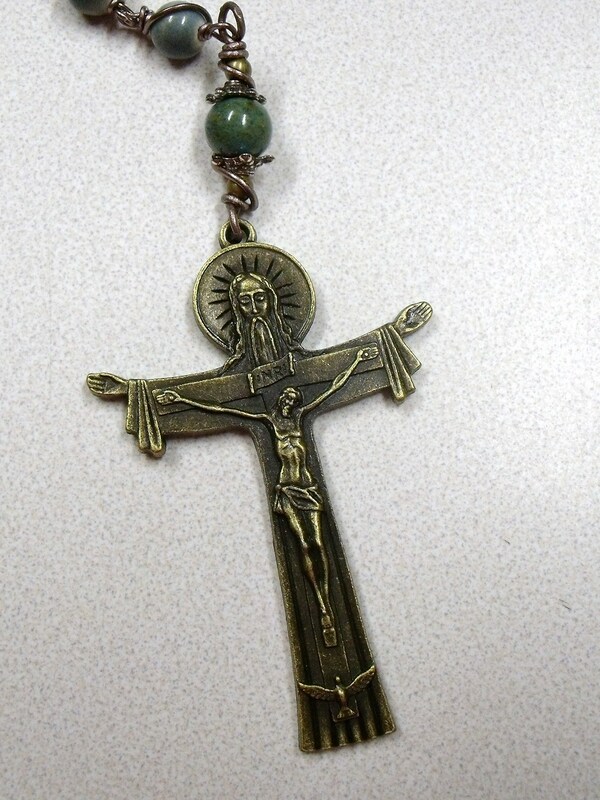 The hefty Trinity crucifix is approx 3 inches long. The overall length is approx 28 inches. It would make a fantastic gift for a man or a woman! 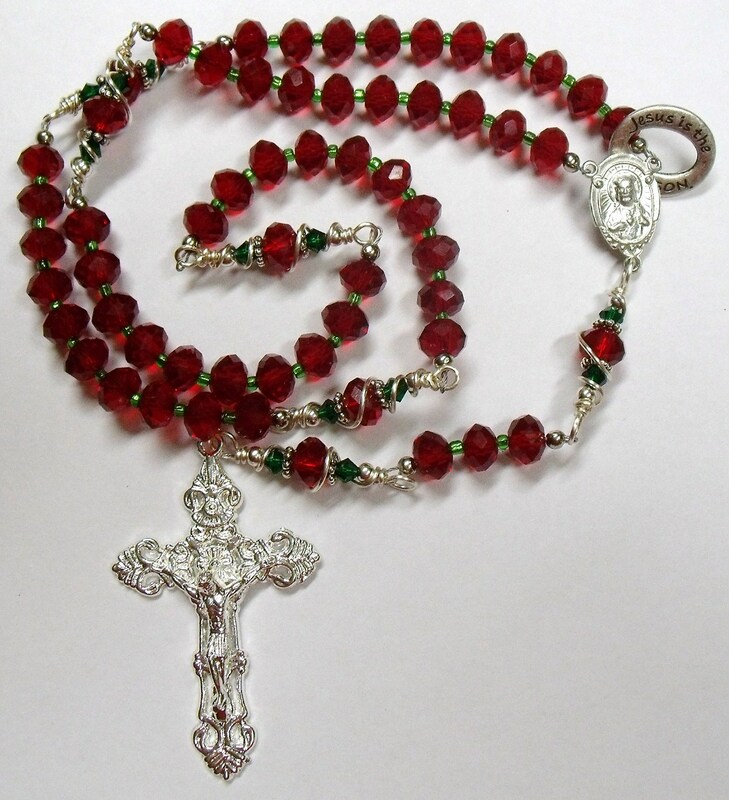 This festive rosary is strung on strong jeweler’s wire and features sparkly red Czech beads separated by teeny tiny green glass seed beads. Take a close look at the shiny silver Sacred Heart center connector and bright silver plated ornate crucifix! 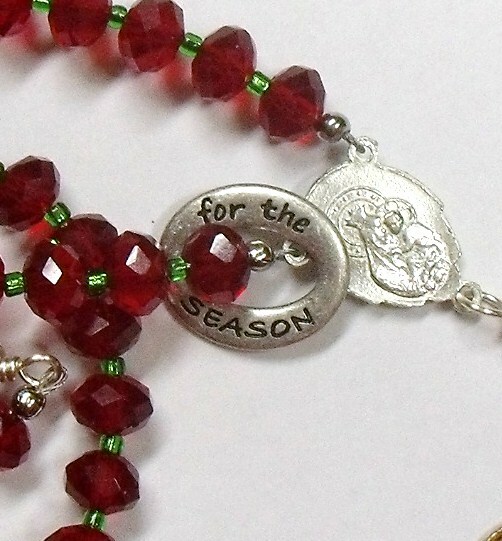 A charming addition to this rosary is the floating charm that says “Jesus is the Reason” on one side and “For the Season” on the other. I put this rosary together to celebrate Advent, not to celebrate all of the materialism that goes into the Christmas season. 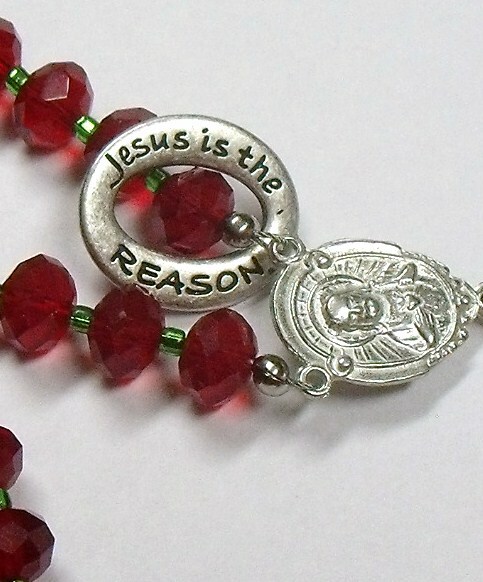 The prayers of the rosary are cherished and solemn and should be treated with respect. 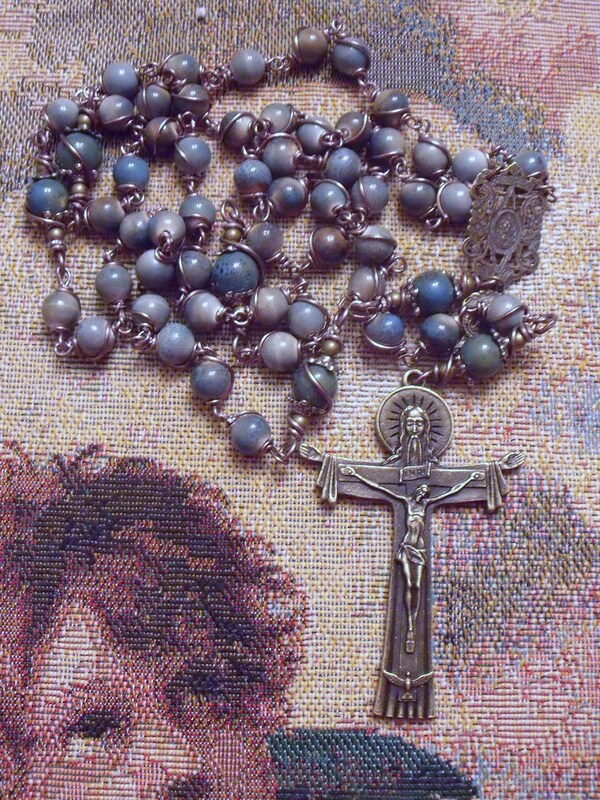 Meditating on the rosary can be the perfect avenue to a deeper Advent experience. Christmas blessings to you!